There are many ways to look after the orphans and widows. There are many ways to show love and to offer support and guidance. For my family, adoption has been the biggest way we have lived out this verse, a choice that has been decades in the making It all started with my first mission trip to the Philippines. While there, I met a seven-year-old girl named Mica and fell in love with her. She was dangerously thin and filthy, and she had pink eye in both eyes. Truth be told, by worldly standards, she wasn’t cute. But her smile… It lit up her pink eyes and the teeth that were too large for her tiny frame. We got to know each other, and each day she would say “Traaacceee, I lob you.” I loved her too, and I dreamt of what life would be like if I could take her home. I realized then that I had the capacity, through Christ, to love any child with an unconditional love. Fast-forward several years, past several more mission trips, to a crowded, hot room at the Social Welfare Institute in Guangzhou, China. Before I could consider what my husband was thinking, he turned to me and said with a sly grin, “do you think they have another baby back there for us?” He knew it too, and I was overjoyed. 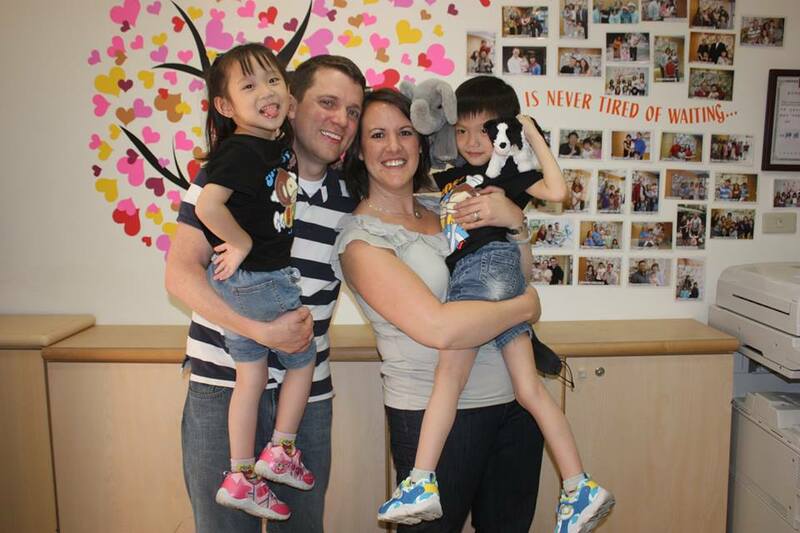 We soon started our own long, winding process of adopting biological siblings, ages 4 and 5, from Taiwan. Adoption was the only thing that made sense to us. There were too many children who needed homes, so many who needed someone to say yes to them. We were ecstatic with our choice as were many of our friends and family. We naively assumed all would be excited, but that wasn’t always the case. I can’t count the number of questions and looks of pity we received from friends, acquaintances, and even family who assumed adoption was a heartbreaking, last-resort to start a family. Comments came from well-meaning people, even from our churchgoing friends and family, who wanted to make sure we understood what we were giving up or who were even disappointed in our choice. 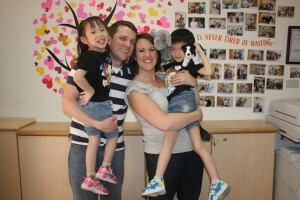 There is an unfortunate stigma with adoption, even in the church. But how, as God-loving people, can we read His Word and not eagerly look after the widows and the orphans in their distress, to the extent of becoming family with them? Adoption is a privilege and an immeasurable blessing of love and hope, both for the adopted and those adopting. We need to be the church who cares for orphans. There are an estimated 153 million orphans in the world (source: Unicef, 2011). Whether you are in a child-raising stage of life or not, you can partner with organizations looking to improve the orphans’ overall quality of life. You can partner with individual orphanages, local and abroad. Find out their true, deep needs -- not just sending them once-a-year Christmas presents. We need to be willing to support or be adoptive parents, to support or be foster parents. And for the young mom who isn’t sure she can take care of her child, we need to help her keep and care for her child when at all possible. We need to care about the orphans, some of the most vulnerable people on the planet. We need to show them God and His love. Traci, Adam, Pierson and Maylin Cline are members of Bethel UMC in Midland. Many people in our conference know Traci and Adam through their many years of faithful service through Carolina Cross Connection, where Adam is the Executive Director. 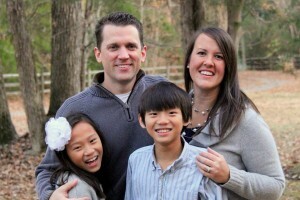 Traci shares her passion for adoption with others by serving on the board of Reach Out Orphan Ministries.